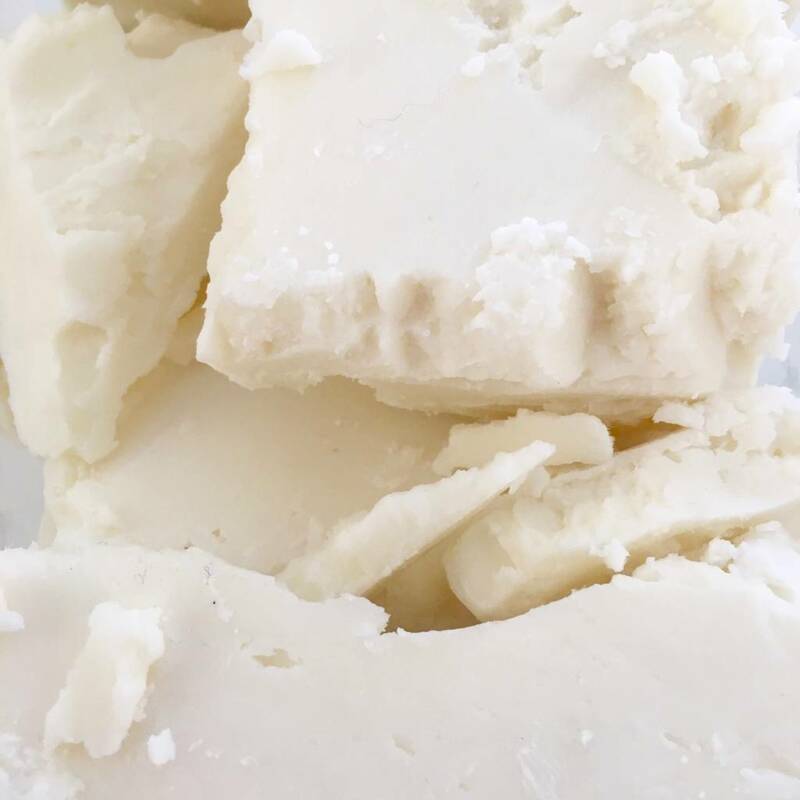 Shea butter has been used for centuries for the treatment of burns, stains, eczema, wrinkles, stretch marks and other minor skin conditions. It is rich in vitamins A and E and soft enough to hydrate the whole body. This makes it suitable for children, babies and people with sensitive skin. 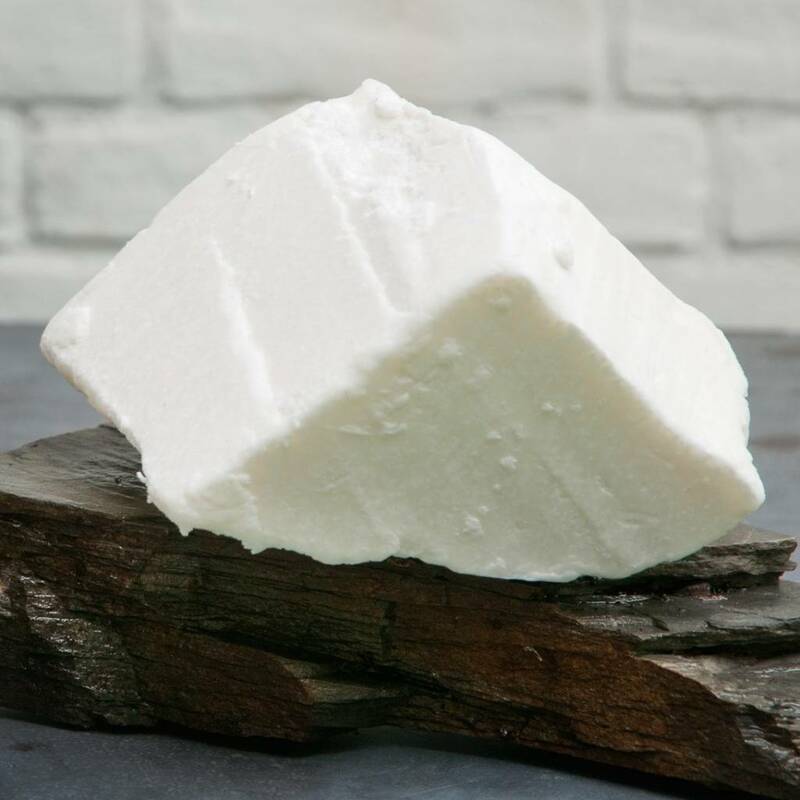 It is a very moisturizing and protective butter with mild antibacterial and anti-inflammatory properties. This unrefined butter (raw shea butter) has a very strong smell. The strength of the smell can vary and does not affect the quality. The smell is reminiscent of the smell of a stable. If this bothers you, you can better choose our Refined Shea Butter. Packaging: The Shea Butter is weighed and packed in paper. It is advisable to keep the Shea Butter at home in a sealed container / box. 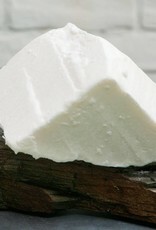 The Shea Butter is obtained by cold pressing the seeds of the karite tree (and is then refined). 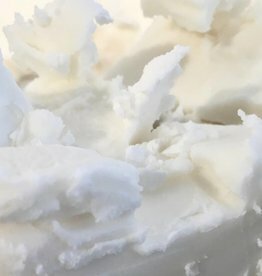 Our Shea butter is a creamy white solid with a strong odor. 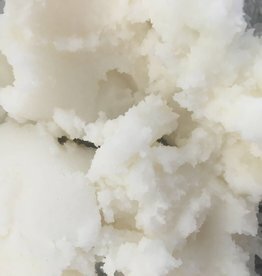 The Shea Butter is pure and can be used without mixing it, but because it is solid it will be difficult to spread. 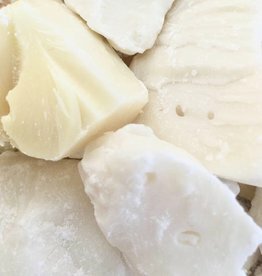 Our Shea butter begins to melt upon contact with the skin, making it a good choice for lip products, body creams and lotions bars. Please note that the smell of this unrefined Shea Butter is reflected in the final product. Recommended use quantity: Lotions & Creams: 3-50%, Lip Products: 5-100%, Soap bar: 3-6%. 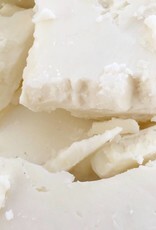 This organic Shea Butter is refined and therefore has a neutral odor. It is rich in vitamins A and E and soft enough to moisturise the whole body. Cocoa butter melts when in contact with the skin. It gets slowly absorbed by the skin and forms a barrier. It's super moisturising and protecting! Mango butter is refined from the kernel of the mango. Mango butter is rich in vitamins A and E and allantoin. Makes the skin more moist, softer and smoother.